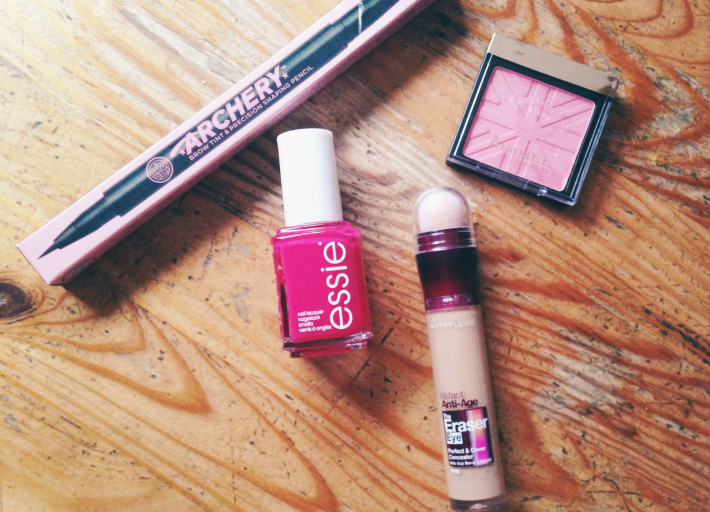 I picked up a range of beauty bits: an eyebrow pen, a nail polish, a concealer and a blusher. 3 of these purchases were blogger inspired, which seems to happen a lot lately. Reading blogs is not good for my bank balance sometimes! 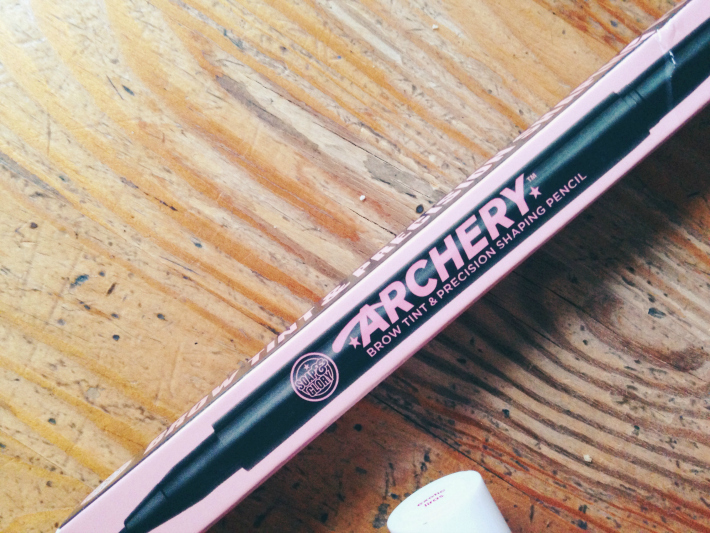 The first buy is Soap & Glory Archery Brow Tint and Pencil. My eyebrows resemble two caterpillars at the moment so I don't really need to use this right now until I get them sorted. My eyebrows thin at the end so I need a bit of a tint to add some colour. I've heard good things about this pencil. It has a felt-tip side for tint, with the other side housing a pencil end for the shape. Essie's Exotic Liras (no link) isn't a shade I've heard about before but the colour looked gorgeous so I had to pick it up. The only downside to Essie shades is the price but they have all bases covered when it comes to their shade range. I was also eyeing up a shiny purple, a taupe and a navy blue. Now the counter is in my local Boots I'm bound to add even more polishes to my collection. I bought a Sleek blush palette a while ago, and I've been finding it a bit too dark for my skin. 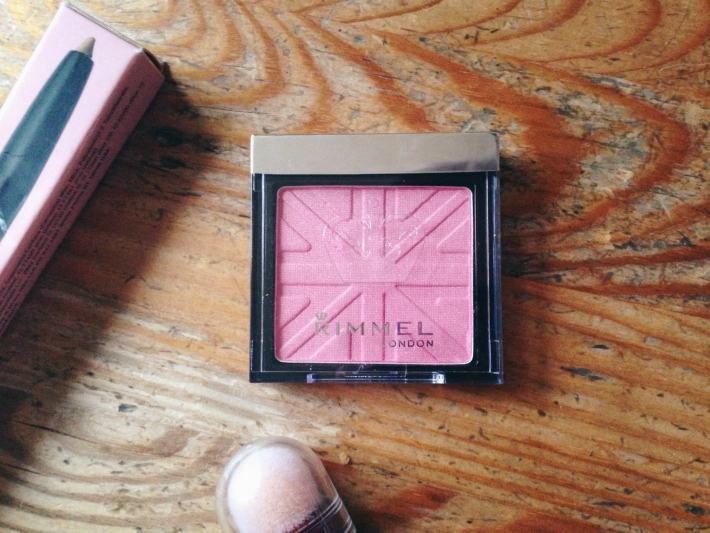 Pinks suit me much better and this Rimmel offering in Live Pink is a true pink that I can get a lot of use out of. I wore it to work yesterday and it suited my skin perfectly. 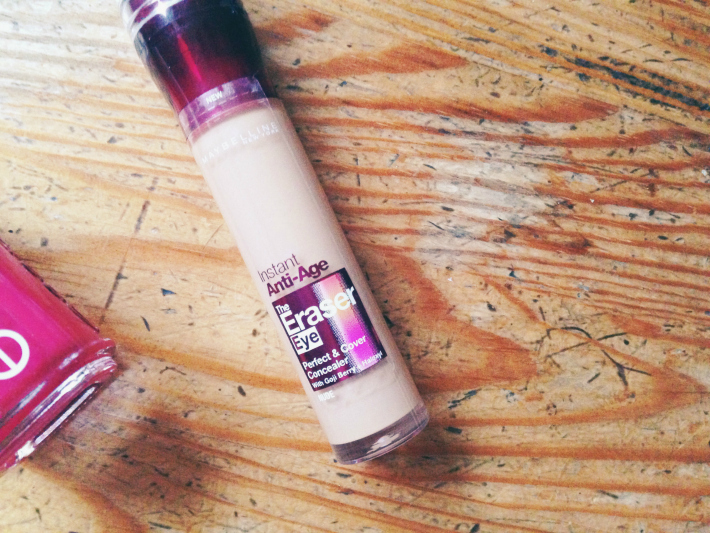 Maybelline's Instant Anti-Age The Eraser Eye Concealer is something I've been hearing about a lot lately, especially from Essie Button. This purchase was definitely a result of the Essie Button effect. I've used this concealer once, only to discover I picked up the wrong shade and it's much too dark for me. It still suited my skin quite well once I blended it in but I'll probably pick up the Fair shade on my next trip. What beauty bits have you been picking up lately?